Once your Soft Close LED Cabinet Hinge Lights are installed and battery has been fitted, the LED will automatically be activated. So, whenever you open your cabinet door, the soft close hydraulic leaver which is built into the device, gets activated and will automatically switch on and light up your cabinet. To turn your Soft Close LED Cabinet Light OFF, all you need to do is simply close your cabinet door, and it will automatically power OFF, it's that easy! 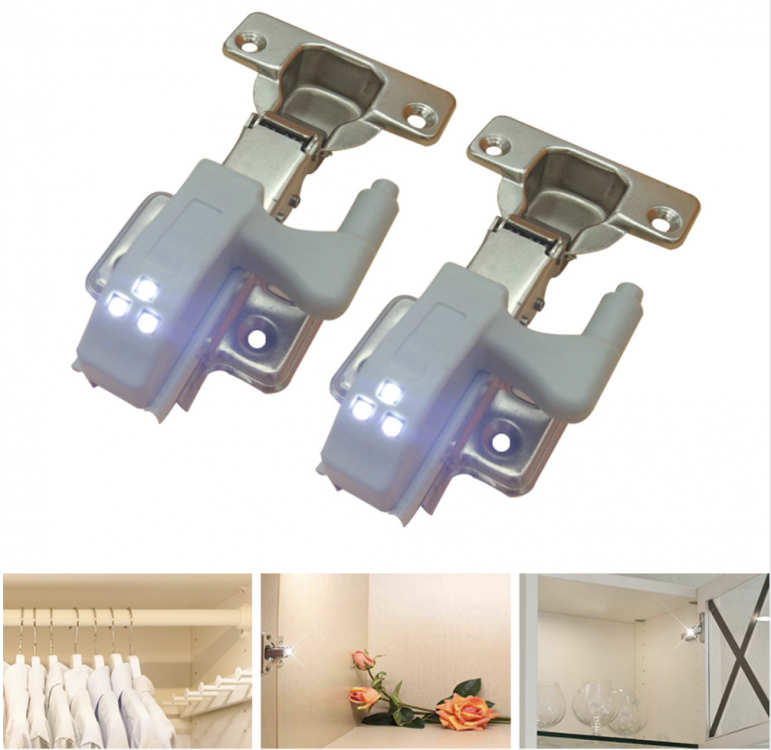 The Soft Close LED Cabinet Hinge Lights can be used anywhere you have a cabinet door with a hinge. Some places in your home- kitchen, office or hotel's cabinet, closet, cupboard or wardrobe with hinge! 10 PACK (50% OFF! $29.95- was $59.90) + FREE SHIPPING! 20 PACK (54% OFF! $55.11- was $119.80) + FREE SHIPPING! 30 PACK (59% OFF! $73.68- was $179.70) + FREE SHIPPING! 40 PACK (65% OFF! $83.86- was $239.60) + FREE SHIPPING!